Cecil Henry Dwyer as born at Newtown in 1890, son of John Joseph Dwyer and Elizabeth. In 1913 at Glebe he married Mary Elizabeth ‘Molly’ Dwyer. He died at Glebe on 12 September 1962, aged 72 years; Molly Dwyer died 22 May 1974, aged 82 years. Dwyer was employed as a labourer and incinerator fireman with Glebe Council until dismissed in 1938. He sought reinstatement but was unsuccessful. The timber strike, which began in January 1929, had a significant impact on labourer Dwyer as mills and box factories were large employers of local labour. It was the strength of support from formal and informal networks created by local women providing striking workers with food and shelter. These traditional networks sustained their industrial militancy, and made the strike remarkable for its tenacity and duration. The strike failed because the conservative government used the apparatus of the state to crush timber workers. Few of the men were re-employed in their mills, and most faced long periods of unemployment. 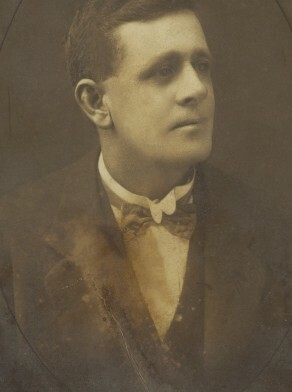 Cecil Dwyer was elected to the first Labor controlled Glebe Council in December 1925 and was re-elected three years later. After allegations by Leo Gill regarding various matters in 1929, head office intervened in the Glebe branch and as a result of its investigation Dwyer was suspended from the party for a year.